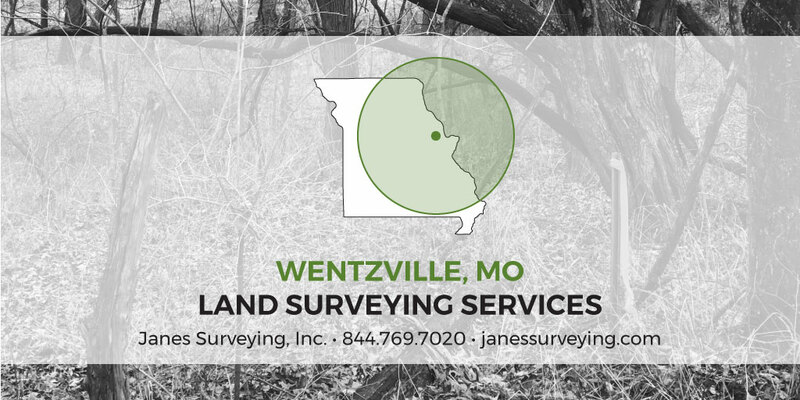 Wentzville, MO Land Surveying – Janes Surveying, Inc.
Wentzville is known as The Crossroads of the Nation. This city is home to the nation’s first Vietnam Veterans Memorial. During the year, Wentzville is host to many events such as the Hill of Thrills Soapbox Derby, 4th of July festivities, the Holiday Night Lights drive-thru, and the Wentzville Days Fair and Music Festival. In recent years, Wentzville, MO has seen much expansion and many new businesses calling their city home. In times of expansion, an experienced land surveyor is a must. Accurate, professional, and timely land surveys become vital to the success of a business and the land they are purchasing. Janes Surveying, Inc. is licensed to provide land surveying services in Missouri, as well as six other nearby states. We are reliable, professional, and employ skilled surveyors who will give you a thorough survey. You can trust us to get the job done right. Our Wentzville services include Property Boundary Surveys (farm tracts, town lots, parcel splits), Construction Staking, Subdivision Concepts and Layout, Topographical Surveying, ALTA/ACSM Land Title Surveys, Surveyor’s Real Property Report, Flood Zone Certification and Map Amendments and/or revisions, and Re-Zoning Applications. We provide free project estimates. Call us to request a free quote or to discuss your needs with our team. We’d love to show you how our company can benefit you, whether it’s to provide a survey before you buy land or afterwards.